READING, Pa. (Feb. 5, 2014) – ODYSSEY® Battery by EnerSys® has been named the official battery sponsor of ULTRA4 Racing and the 2014 Griffin King of the Hammers presented by Nitto Tire. In addition to the overall sponsorship, ODYSSEY® Battery by EnerSys® has been named primary sponsor of the No. 4706 Spec Class car, which will debut at the 2014 Smittybilt Every Man Challenge on Feb. 6, 2014, in Johnson Valley, Calif. The 2014 Griffin King of the Hammers Ultimate Desert Race will take place on the following day – Feb. 7, 2014. Driven by Jim Marsden of Team Gigglepin, the purpose-built rock crawler debuts among a new class of vehicles, the 4700 Spec Class, entering the Smittybilt Every Man Challenge this year. As the official battery sponsor of the No. 4706 Spec Class car, EnerSys® will provide batteries and technical support for Marsden and all six of the team’s 4700 Spec Class vehicles. 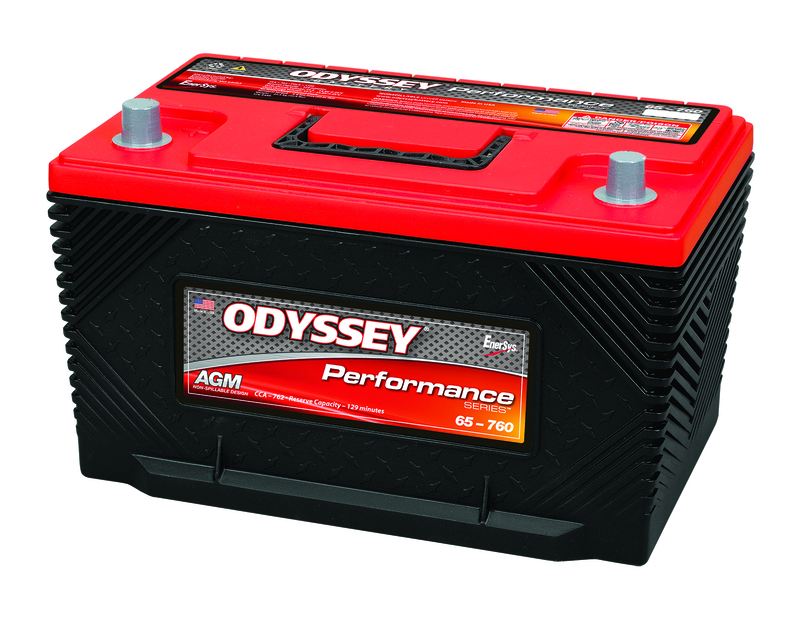 The ODYSSEY® battery logo will also appear on all six of the team’s inaugural Spec Class vehicles. Following the Smittybilt Every Man Challenge, the No. 4706 Spec Series car will continue to compete in the 2014 ULTRA4 Trail-Gear Western Regional Series with ODYSSEY® battery as the official battery sponsor. Visit www.kohtheexperience.com for further race details. EnerSys, the world leader in stored energy solutions for industrial applications, manufactures and distributes reserve power and motive power batteries, battery chargers, power equipment, battery accessories and outdoor equipment enclosure solutions to customers worldwide. Motive power batteries and chargers are utilized in electric forklift trucks and other commercial electric powered vehicles. Reserve power batteries are used in the telecommunication and utility industries, uninterruptible power supplies, and numerous applications requiring stored energy solutions including aerospace and defense systems. Outdoor equipment enclosure products are utilized in the telecommunication, cable, utility, transportation industries and government and by defense customers. The company also provides aftermarket and customer support services to its customers from over 100 countries through its sales and manufacturing locations around the world. More information regarding EnerSys and its ODYSSEY® Battery brand can be found at www.enersys.com orwww.odysseybattery.com. ULTRA4 Racing is a vehicle type, class and series. ULTRA4 Racing was born from the popularity of the annual Griffin King of the Hammers Presented by Nitto Tire, considered to be the toughest one-day off-road race. The vehicles are unlimited four-wheel drive, capable of competing in multiple racing disciplines – extreme rock crawling, high-speed desert racing and short course. In six years, the sport has grown significantly from the inaugural King of the Hammers to an eight race national series including a National Championship. ULTRA4 Racing is managed by Hammerking Productions located in Temecula, CA. To learn more, log on to www.ultra4racing.com.